Ahh, the crisp Fall air! All the kids backpacks full of maybe books, but probably candy and cell phones. Finally the kids are heading back to school and that means you’ll finally have a few moments to yourself. Well, yourself and your pup. 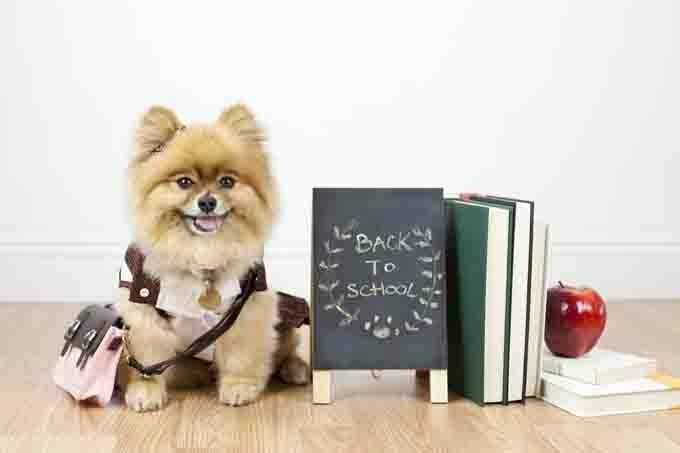 Back to school time is the perfect time of year to lavish your dog with attention and maybe even teach your dog some new tricks or basic commands and why not stick with the “back to school” theme since we’re on it. Let’s talk about teaching your pups some basic tricks and commands every school student has mastered. The only school supplies you’ll need are a bag of tasty treats, patience, love and hearty “Good Dog!” cheers for your puppy pupil. It would be great if you could slot out 15 minutes a day or 15 minutes a few times a week to work with your dog. By the end of the semester the whole family will be impressed. I know this is pretty basic but you’d be surprised how many dogs do not come when they hear their name. Now is the time! Teach your dog his name and what you want him to do when he hears his name. Start simple. Say your dogs name and hand him a treat. Repeat. Move a little further away. Call his name, and if he comes, give him a treat and lots of love and praise. It also helps to attache a leash or lead and give him a little pull toward you to show him what’s expected when he hears his name. He’s a genius! And you’re doing great, too! Who are you, Cesar Milan? Good training is all about positivity. And the treats and praise really help. Oh, there is sit, but have you done sit pretty? Get your dog to sit, then hold up the treat until he goes back on his hind legs, and look so cute! This dog is amazing! Take a picture already! Does your dog like to fetch? Does he bring it back? A lot of dogs like to chase, but they don’t bring it back. They lose interest when the item comes to a rest. First you’ll need to find an object your dog is really interested in. Make sure you find the right toy for your pup. Maybe a ball is too round and stupid to your dog. Maybe your dog imagines fetching something more interesting like quail or squirrel. Find a toy that’s quail or squirrel-like. Have a cocktail, be patient, this could take time. Want to teach your dog to sing or speak? Pick a song you can sing to whole-heartedly. Get out your Katy Perry or your Iron Maiden. I would personally choose Dolly Parton. Sing the song to your dog. Dogs tend to bark or howl to different kinds of stimulation. Nobody knows better than you what will stimulate your pup to howl or bark. Maybe you need to pull out a harmonica, howl yourself or play youtube videos of other dogs howling. Give a treat and insta-praise when your pup reacts! You guys will be the hit of the school pageant! Now that your dog is probably napping from all the lessons, activity and treats, he has become the perfect art subject. Sit down and observe your pet, and try and put it on paper. 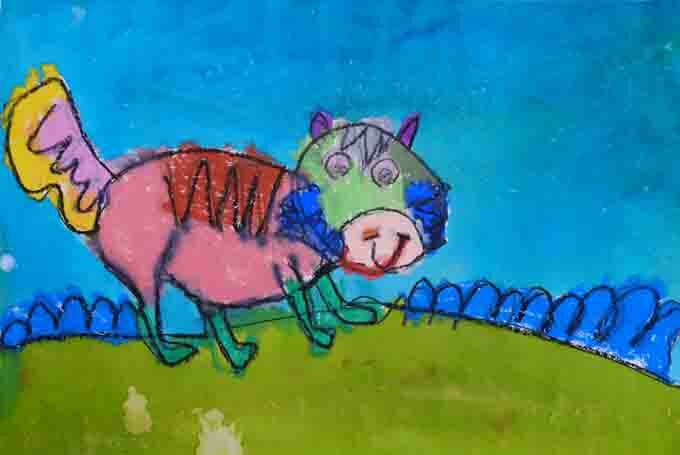 Get every member of the family to take a stab at capturing the essence of your dog in art. You don’t have to be “good” or “know how to draw”. It’s just a way to celebrate your dog and relax and bond with your family. Frame the portraits and hang them around the house. These are beautiful mementos you’ll have to remember your pup forever. Here are some more tricks to teach your pup.